Den kaledonske fjellkjedes hovedretning mellom Trondheim og Stavanger. Svar til Trygve Strands bemerkninger. 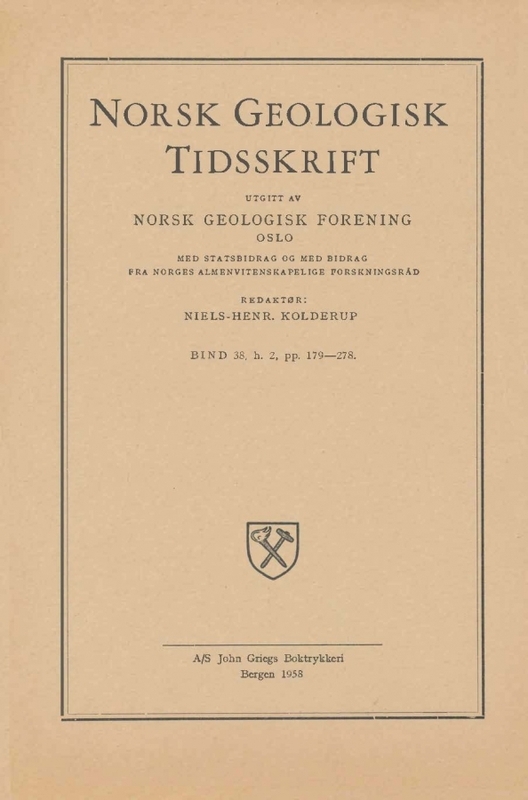 In my paper "Connections between the Trondheim and Sunnhordland Regions, Caledonides of Norway", in this journal, I discuss features which throw light on the relationship between an arcuate Caledonian mountain range and the geology of Central and Southern Norway. In this reply to dr. Trygve Strand's comments is shown that there is no essential difference between Olaf Holtedahl's view according to the primary trend of the Caledonides, and the cited and discussed ideas of Thorolf Vogt. It can be mentioned here that the first publication I refer to in my paper is a lecture given by Vogt 30 years ago. Nor can I see that any other geologist has discussed the idea of an arcuate Caledonian mountain range advocated in my paper.